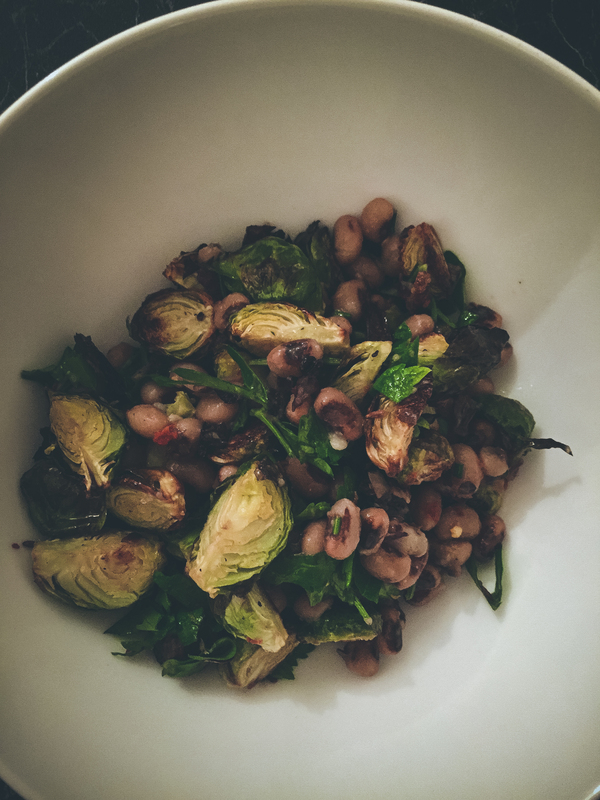 I always grew up hating brussels sprouts, didn’t every kid? I never had them growing up, but I always heard others saying how gross they were. It wasn’t until last year that I finally broke down and tried them and wowsers, I fell in love. 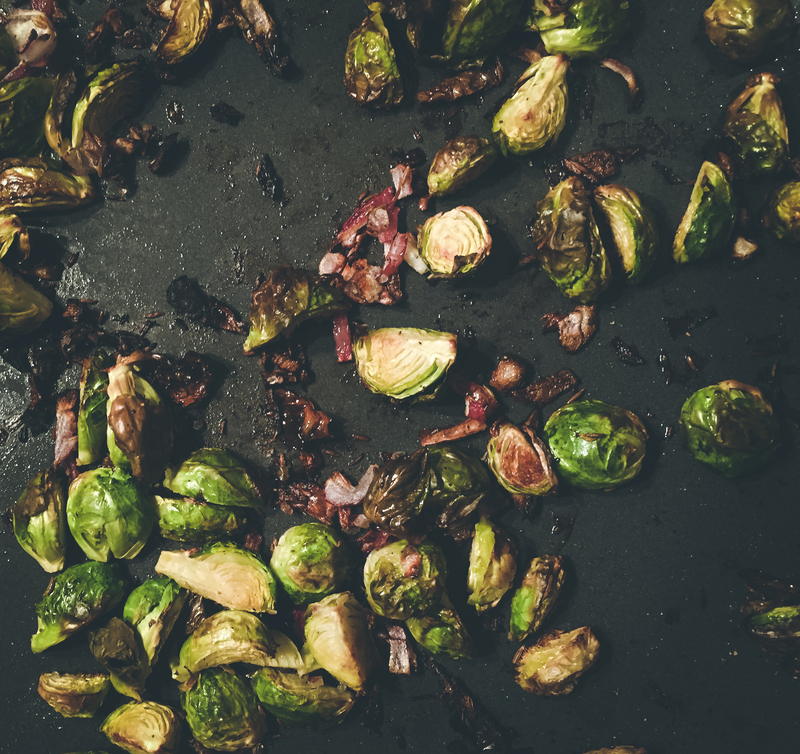 I had them roasted at a restaurant in Zurich and vowed to be able to recreate a sprout that I could eat at home. I have finally found it! And the best part…I can make it here in Switzerland, despite the recipe being American #dailychallenge. *Note, you may use dried Black-eyed peas, however be sure to cooked them prior to beginning this recipe. Shockingly enough, Switzerland actually had canned peas vs dried. Such a time saver! 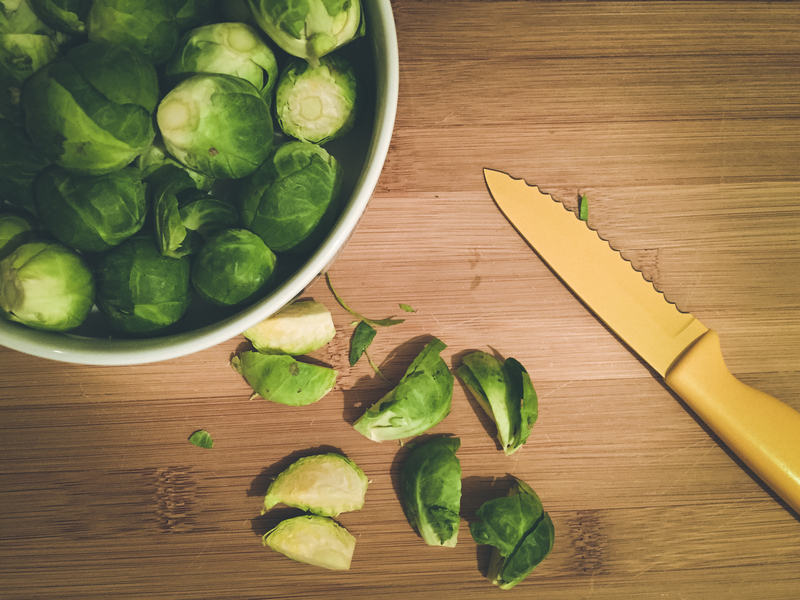 Make sure to prep the sprouts but cutting off a little of the brown stem at the bottom and remove any brown or damaged leaves. Rinse sprouts and cut into quarters. 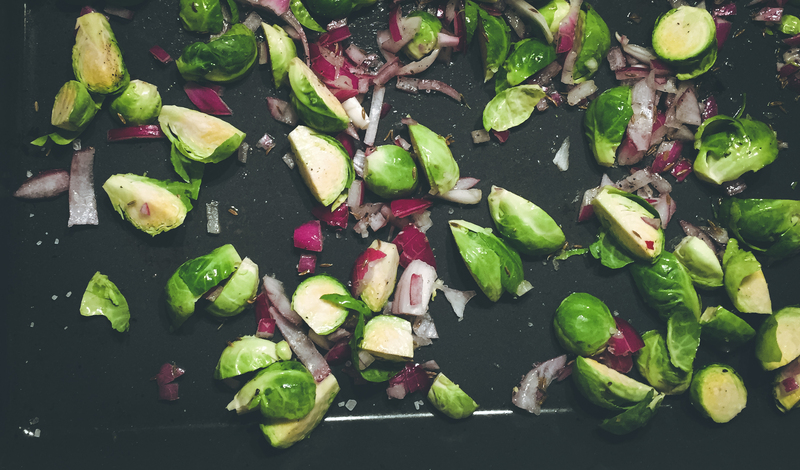 Place sprouts and onions on a baking pan to roast. Pay attention to the onions. Since they are much smaller than the sprouts, they are more likely to become burnt before the sprouts. My oven cooks a little faster than most, so I would recommend checking the veg around 12 minutes. Ok, so my veg became a little bit on the crispy side, which normally would be bothersome, however in this dish, it just adds another layer of flavor! Quarter Brussel sprouts and place them, along with onions, in a large rimmed baking sheet. Drizzle 1 tbsp of oil and sprinkle with cumin, salt, and black pepper over the Brussel sprouts and onions. Toss well. Roast for 12-15 minutes, until browned and tender. While sprouts are roasting, combine the remaining ingredients, except oil, in large serving bowl and toss to combine. Remove the veg from oven. Add the remaining 1 tbsp of oil to the serving bowl and toss well. Add sprouts and onion to the bowl and toss well. Season with additional black pepper and red pepper flake. Serve immediately. Adapted from Green City Market Cookbook. Recipe by Debbie Sharpe, owner, Feast Restaurant and The Goddess and the Grocer. 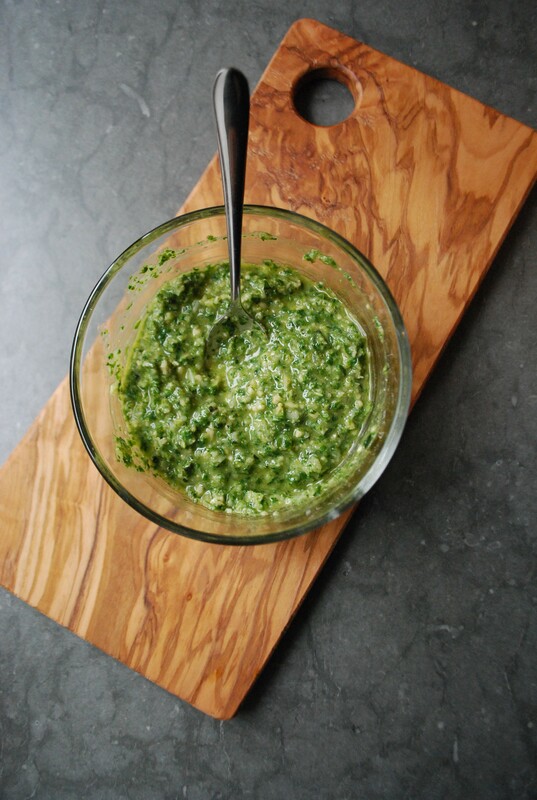 It all starts with a recipe from a famous chef and you realizing that you will never be able to recreate that dish. C’est faux. Last night I created a wonderful dish from House Montali in Umbria. 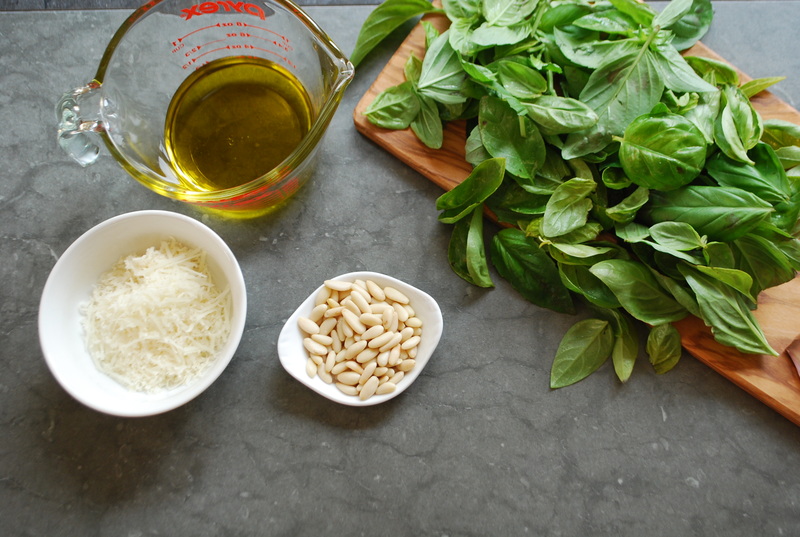 Place all ingredients, except cheese, in food processor, blend until combined, pulse. Pour into bowl and mix in cheese. Please follow our Pinterest Board for this post! I’m sure we all have certain stereotypical thoughts when we think of of “pretty in pink.” From a young girl’s princess-themed room to frilly laces and flowers, if you are wary of rooms that are “pretty in pink”, read on to find a new found appreciation and love for this color. When done right, pink can be an excellent backdrop or accent color that resonates the soft, tender feel you may be going for. Alternatively, a bright pink can be exactly the extra spice you want for a boost of energy. The great thing about pink, whether for interiors or for fashion, is that the various shades ranging from a baby pink to blush red, make for an excellent palette to choose from. Pink goes well with a monochromatic background, and can be just that extra pop of color that you need in your home or outfit. An easy way to add some pink to any room is through extra accessories such as a fresh batch of flowers, towels in the bathroom, or extra pillows on the couch or bed. 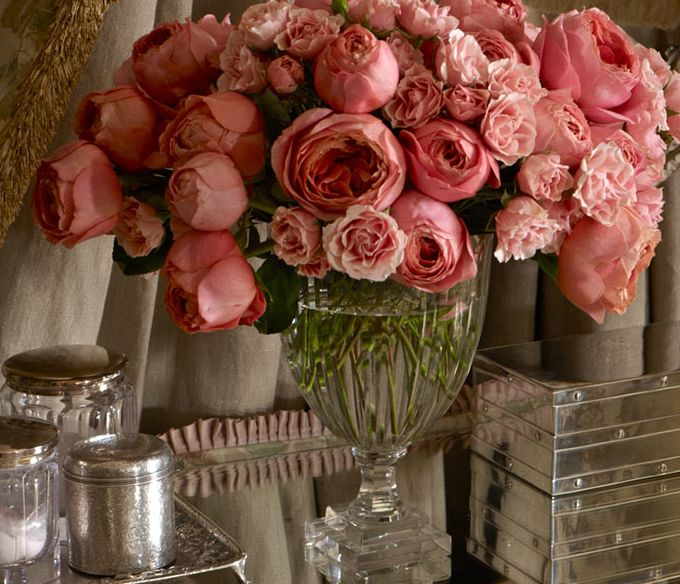 Light pinks in home decor bring about a soft and elegant look to the room. Great for a living room or dining room, the space can easily transform into one with extra class and grandeur. 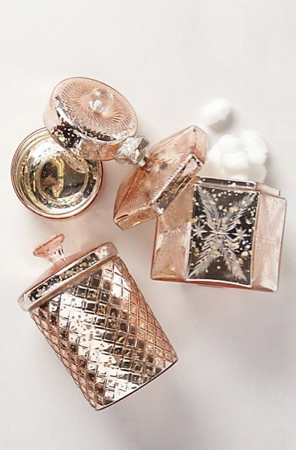 This elegance can also be added to any outfit through just a small dose. From a piece of delicate jewelry to a pink top, the extra touch of color matches well with golds, silvers, or simply a black and white theme. If you are a bit more daring, you can use a light pink as the background, opting instead to have darker shades of pink or red to become the accents. 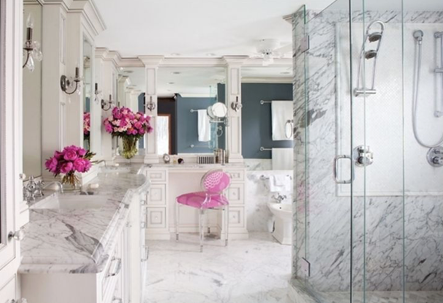 Choose wisely on what you decide to decorate in bright pink as this will be the center of attention. Try and see if you can come up with creative ways to make both the color pop and allow your room to shine. 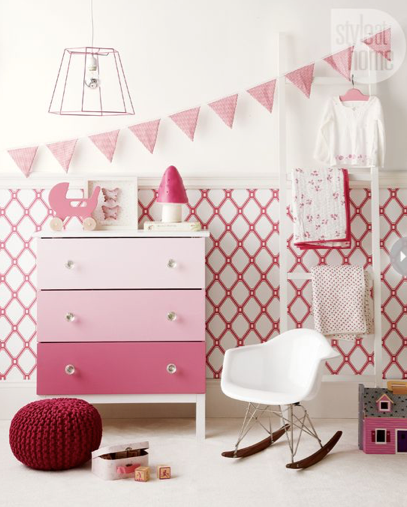 Pretty in pink can transform your room to truly be a classic and elegant look that is “pretty in pink”. Whether you decide to add a dab of pink or go full on and tackle a whole room, you may just find yourself choosing pink as your next color!